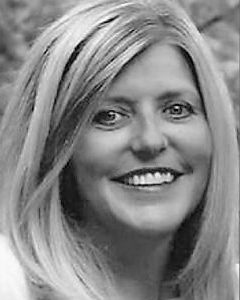 Specializing in the Lake Geneva area real estate market, Stephanie Parent utilizes her local market expertise to streamline the process of finding your next home. Selling or buying a home can be a daunting and sometimes stressful task. When selecting your agent, you want to consider who will be representing you and what they bring to the table. A proven professional, Stephanie has a successful background in sales. She has sold millions of dollars in furniture, lighting, and home decor products into national and international retailers. Being on top of design and building trends was a key component of her success. Stephanie's business acumen brings a unique perspective to your transaction. Excellent follow up, negotiation, marketing and communication skills sets her apart and will get you to the closing table. Experience in social media and ecommerce helps increase your property's exposure in today's competitive market and helps close the deal. Given the opportunity to join The Mary Brennan Group, ranked #1 in 2015 with @properties in Lake Geneva, as a Partner was too good of an opportunity to pass up. Our team approach allows a greater attention to detail for our clients. By aligning our resources, we streamline the process to work with you towards a common goal. Drawing on the combined experience of the team, leveraging strategic marketing plans, increasing exposure, increased availability, and the attention of dedicated administrative staff are just a few of the benefits we offer. Stephanie's passion for real estate started with the purchase of her first property shortly after moving to Chicago after graduating from the University of Northern Iowa. Being able to spot a prime investment opportunity in Bucktown before it blossomed into the community it is today, lead to building and selling several more properties in Chicago. After visiting the Lake Geneva area for a long weekend she purchased her first lake property in Delavan as a weekend get away from the city. Falling in love with the lake life style, Stephanie moved to Lake Geneva full time with her husband and two boys in 2005. Living at the lake is filled with boating, hiking, farmer's markets, flea markets, golfing, festivals, and skiing to name a few. Firsthand knowledge of the unique things the Geneva Lake area offers part time and full time residents will help you find your perfect home. Her experience in building and rehabbing homes gives you an edge when evaluating potential properties. In her free-time she enjoys interior design, travel, golf, fashion, watching her boys compete in sports, and running. An avid runner having finished several marathons, she knows how to set a goal and cross the finish line. Stephanie works with the Competitor Group's Lake Geneva Tri Rock and Chicago Rock and Roll Marathon series staying connected to the running community. Consider Stephanie for your next real estate transaction for a personalized and stress free experience. "Steph did a very good job at selling our property for us." "Stephanie was outstanding as she took care of everything. Her service was superior from beginning to end." "Stephanie was patient and informative in the long search for our home. When we found it, we saw it in the AM and put a full price offer in that same night. Stephanie helped us through the inspection and the closing. She provided us with invaluable information regarding attorneys, inspectors etc. a true professional in every sense of the word." "Stephanie is very pleasant. She met us immediately when we asked. Also, she is very knowledgeable about the surrounding communities in southern Wisconsin. She answered all of our questions almost immediately." "Stephanie is a rock star realtor! Her diligent, exacting follow-up and responsiveness at every step of our transaction made it an enjoyable, confident experience. Anyone who chooses Stephanie has made the best choice possible!"